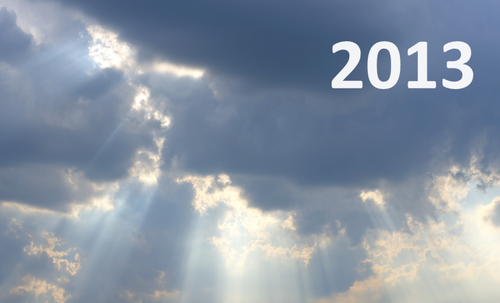 I believe that this is the year when the enterprise will find its way to the cloud. The traditional CIO understands that in order to achieve that goal, IT will need to start and do cloud, make sure that IT resources are utilized right, and that his teams move fast. The enterprise has already moved and started its proof-of-concept. Those who have realized the option to reduce cost, increase agility, and enjoy the real benefits of the cloud will continue migrating the resources of their non-critical services. Internalizing the public cloud (specifically AWS cloud) will inspire the enterprise to learn how to maintain a robust, highly available and secured service on the public cloud. That will put the hybrid environment in the front, supporting bursting and load migrations. The traditional enterprise follows the new era one, making sure to transition and acquire only online and mobile services. The SaaS market. OpenStack is one of the candidates to compete with AWS. This open source platform is being led by heavy traditional industry, such as HP. These traditional vendors don’t have the Internet company culture of moving fast, supported by fast cycles of refinement. In 2012 Amazon released a huge number of new features to support the enterprise cloud, following great agile product management. By contrast HP, which is one of the leading contributors, is still dragging its feet while trying to copy the AWS base offering. However, it is important to mention that a new trend is emerging in which enterprises are moving to deploy OpenStack instead of renewing VMware licenses. Although I am a public cloud “believer,” adoption takes time and the enterprise IT will not shut down its on-premises resources on the spot. The hype supports the penetration of the cloud to every IT team, including the enterprise … but traditional enterprises want risk free migrations. The basic recommendation is to move on with a quick proof-of-concept to taste and test the actual benefits. The next move comes when a need for additional resources arises, such as an upgrade, new application, or load growth. Once a real need for additional resources arises, IT managers will then decide whether to purchase new on-premises technologies or cloud resources. And the innovative IT leaders will choose the latter. Another option is that the enterprise experiments on the public cloud, and only then purchases dedicated resources due to high lease costs. But once a real price war takes place, I believe that the preferred option will be the public cloud, although I’m not sure that this will happen in 2013. For these reasons, the hybrid cloud model is still valid (unfortunately). Thanks to the knowledge gap, the simple reality is that IT can’t meet the demand for cloud skills. In fact, according to an IDC study, the demand for cloud computing will grow at six times the rate of IT skills overall. The re:Invent APN summit for partners and the IDC study strengthen the position of cloud managed services. It is obvious that Amazon loves its MSPs because these vendors are growing like crazy. I follow at least five different MSPs whose business as integrators of AWS has grown to 80-90 percent of their whole business, and these are growing amazingly fast. Amazon also invests in these vendors as it knows that the way enterprise deals with time-to-market issues is by outsourcing, and it will continue to do the same in the future. One of the most important things I have learned from HP Discover was that the enterprise wants and will be happy to pay to maintain control. The cloud puts control and transparency at risk due to the fact that traditional enterprise leaders and users are used to having great control of IT resources, and the concept of not having the “irons” intimidates them. The cloud vendors and developers will have to make sure they report back to leaders on the adoption progress, making sure that these new IT resources generate the expected business benefits without harming services, compliance, SLAs, and so on. Organizations that run to deploy without planning and control will put their cloud adoption and innovation at great risk. Choosing to run a business on a cloud is a strategic move, and picking the right way to manage your new cloud resource is part of this strategy. I wish that public cloud competition would become a reality very soon, that it would generate great price reductions, and that it would enable adoption. I hope that Amazon’s cloud will continue to strike and overwhelm everyone with its enterprise penetration, bringing that future even closer. And I hope that the traditional enterprise will be able to adopt “continuous integration” and “cycles of refinement” while removing constraints and presenting the great innovation that the cloud enables.